The biggest global advertising industry conference is meeting this week in France and recognizing the most creative and successful marketing campaigns of the past year. Burger King just won the top award for it OK Google Ad in the Direct category. Most Voicebot.ai readers recall the ad and the subsequent media craze around the role of advertising in voice assistants. It came shortly after Google attempted to serve its own ad for a Disney movie and abruptly removed it after numerous social media complains. The Burger King ad wasn’t directly connected to Google Home content delivery but was exploiting an aspect of voice activated devices. When you say, “OK, Google, what is the Whopper Burger?” the device responded with information from the Wikipedia page about the Whopper. This wasn’t exactly a controlled brand experience. People promptly changed the Wikipedia page for the Whopper to say unflattering things. Then Google blocked Home devices from actually recognizing the spoken request. But, that didn’t matter to Burger King or its ad agency David Miami. It only added fuel to the story and caused even more coverage. The result? 9.3 billion ad impressions globally and $135 million in free media coverage for the Whopper. See the broad impact in the sizzle reel below. 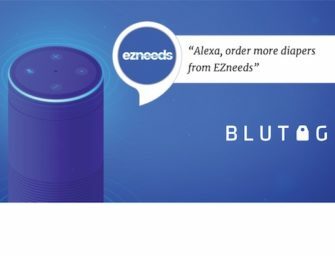 How Does This Impact Advertising on Voice Assistants? This wasn’t advertising on Google Home. It was more similar to the earlier situations where television commercials inadvertently placed Amazon.com orders by activating the Alexa voice assistant on an Echo device. The idea came from the fact that Google Home ads during the Super Bowl activated the devices. Whether that was intentional or not is an open question. However, all of these incidents are about a smart speaker’s voice assistant responding to a spoken phrase and then responding to the request. It is not about delivering ad content directly through the devices. Google prohibits this. Amazon prohibits most advertising although does make exceptions for audio entertainment and news with embedded ads and its own daily deals. Recent advertising restrictions by Amazon caused VoiceLabs to discontinue its advertising service. But, the Burger King ad was not a factor. It was simply a great ad that leveraged a feature of Google Home to co-opt it into creating a viral controversy. Burger King was a big winner in the episode, but so was Google Home. It surely helped raise brand awareness and allowed Google to stake out its position as protecting users from advertising. Google should pay for Burger King’s expenses this week at Cannes Lions.